I use Daniellah’s company for my mother whom lives in Northbrook. Her caregivers are so caring and they treat my mom like family!! I am so thankful that my mom is in such great hands while I am at work. Highly recommend…. Review by Mary Beth R.
We had a wonderful experience with Daniellah and her team of care givers! Patrick and Jeremy took great care of my husband on his road to recovery after a bad foot infection left him unable to walk for a few weeks. He didn’t need full time care, so they were very flexible with our schedule. Patrick and Jeremy were always prompt, friendly, and reliable. We always felt we were their top priority. They made my husband feel very secure knowing he had their support. 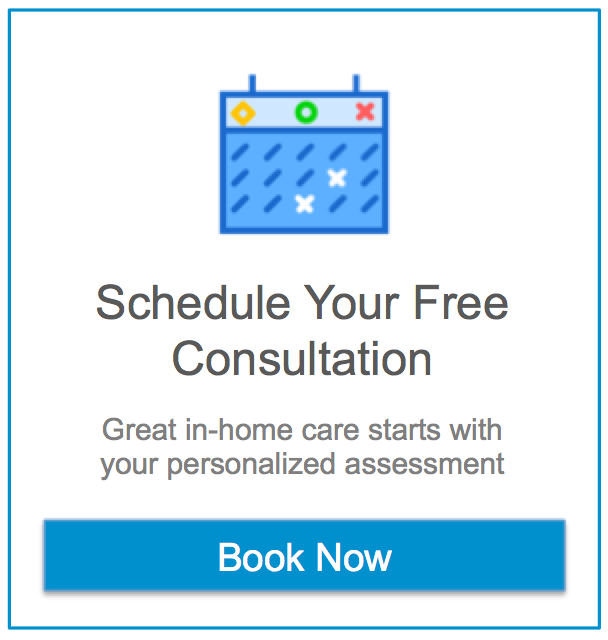 I would definitely recommend them to anyone who might need some assistance after a hospital or nursing home stay. My sister has been diagnosed with a terminal disease MSA (Multiple System Atrophy). We’ve been through many home health care services. We kept trying to find the right care for Denise. From the day Daniellah walked into my sister’s home we knew in our hearts we were in good hands. Daniellah is truly amazing ! SHE REALLY CARES AND LISTENS!!!. We have Jeremy as my sister’s caretaker who is outstanding. Assisting Hands Arlington Heights is a first class home health care service! I ASSURE YOU, YOU WILL NOT BE DISAPPOINTED !!! Thank You Daniellah !!!! On behalf of my sister and brother, we want to thank you so much for the outstanding care and service provided through the organization. From the start, when you, your colleague and Giselle came to meet us, we were very impressed with your professionalism and service. Giselle was amazing and bonded quickly with mom and us, and provide excellent care and service and was very warm and caring. We were also impressed with the way she transitioned the other staff and always offered to provide assistance. Mom as well as us, bonded very quickly with her. Jackie was also amazing. She was a G-d send! She too bonded immediately with everyone and was so comforting to mom. It’s not an easy task to care for a terminally ill patient and especially to be there to witness a death, but we can’t think of anyone better to have been there. My sister said that when she arrived after Mom’s passing that Mom looked so beautiful and peaceful. Jackie and the Hospice aid had bathed her and Jackie had picked out a cheerful outfit. That was amazing! I think I mentioned this before, but when we started with the company it was to be temporary. However, we quickly concluded that mom was getting outstanding care (as well as oversite from you) and we didn’t want to change. That proved to be a great decision! Thanks so much. I can personally attest to the care and concern that Daniellah brings to your home. I was very fortunate to have her come out for a consultation with my grandmother who is suffering from breast cancer and can tell you that my Gram was over the moon happy with her time with Daniellah. The owner’s bedside manner and warm demeanor makes her a joy to work with. Her caregivers are carefully selected to reflect the values that Dani herself exemplifies. I can not say enough good about her and will recommend her office to all of my family & friends! Thanks guys!